People always told me that college is fun. That it would be the best years of my life. But what those people didn’t mention was that while college is definitely fun, it’s also woefully expensive. I’m not just talking about tuition and room & board; I’ve found that those expenses are only the tip of the iceberg. What about buying furniture for your apartment? Transportation for trips home and to visit friends? Or factoring in the many (and trust me – there are many) group dinners, late night pizza runs and other social outings that you won’t want to miss on? These are just some of the experiences I didn’t initially factor into the “college experience” budget. As a senior at the University of Southern California, I’ve spent my fair share of money on the expected expenses like high-priced textbooks, a new laptop, meal plans, and dorm fees. But on top of those, I’ve also experienced a number of surprise expenses that I never considered. For example, I was shocked at the price of my ‘new member’ dues when I joined a sorority. Weekend trips to festivals and away football games have been some of my favorite college memories, but have also been costly. Plus, the simple expense of traveling from home to school and back every semester is an expensive, but completely necessary cost. Even though this will be my fourth year away at school, the financial surprises keep coming: this will be my first year living in non-university housing, and the costs for furniture, cable, Wi-Fi, cleaning, and utilities bills, all on top of monthly rent, add up to a far greater tab when compared to the cost of living in university housing, which comes furnished and generally includes these costs in a cheaper, flat rate. Get a summer job. With the extra cash you make, you’ll be able to afford doing more activities during the school year. Plus, after graduation, you’ll already have something to build out your resume. Avoid the campus bookstore. Instead of buying textbooks at your university bookstore, where prices tend to be inflated, consider renting textbooks through Amazon or another service, at a fraction of the price. Visit a drugstore or office supply store to buy notebooks, pens, and other supplies where the prices are college-student-friendly. Leave your car at home. If you can avoid bringing a car to school, then do so. Long-term parking can be costly, especially in big cities. Furthermore, the ever-rising price of gas is sure to put a dent in your pocket. Utilize public transportation and ride-shares, instead. Choose your fun wisely. Movies, concerts, and outings with friends are invaluable parts of the college experience, but can easily eat away at your funds. Before the school year, plan to create a budget for how much you want to spend on entertainment a week – then stick to it. There are plenty of useful tools and apps that make setting goals and tracking spending a breeze. 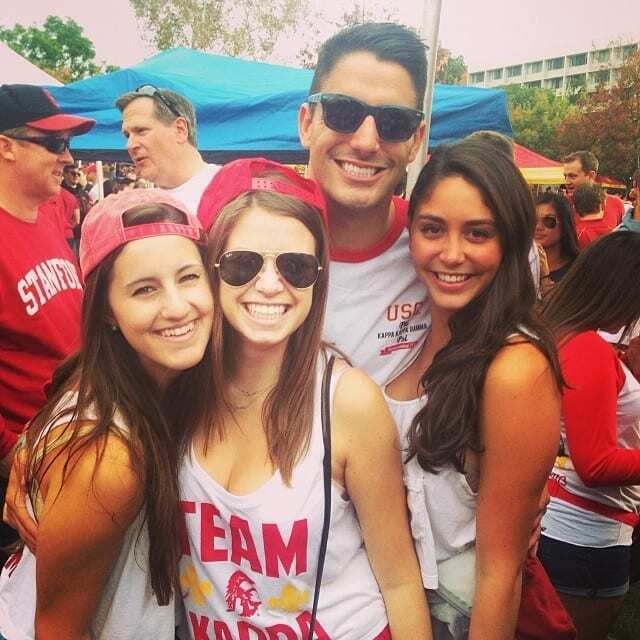 Cecilia Callas (on the left) is a senior at the University of Southern California.